Noble lines of the White Widow, Afghani and K.C. 33® merge to create this spectacular resin-coated beauty, ideal for hash enthusiasts or anyone who enjoys playing with twinkling, densely packed trichome-heavy buds. As much as I enjoy hash, I prefer hearing these incredibly sticky, indica dominant buds hissing in the glowing bowl of a favorite bong. The soft, lightly floral taste is followed by an immediately anaesthetising stone. An odd juxtaposition of qualities, like a velvet hammer. An easy indoor grow, she can do well outdoors in temperate zones but gets fussy under more challenging extremes. 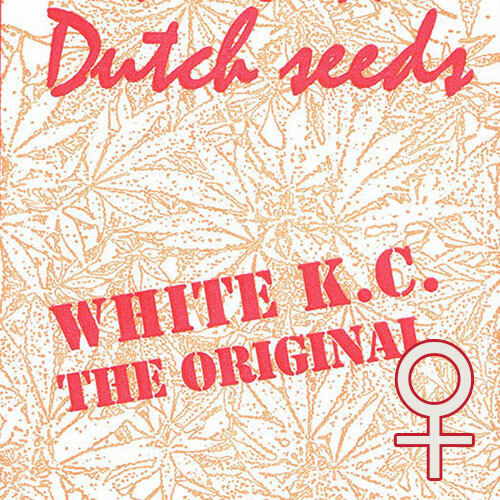 This White K.C.® Feminized hybrid is a promising therapeutic choice for medical users who like their buds white, chunky and formidable in effect.